Richard Robb teaches courses in microeconomics, economic foundations of capital markets and international finance. In addition, he is CEO of Christofferson, Robb and Company, a New York and London based investment management firm that invests in credit and renewable energy markets in Europe and emerging markets. 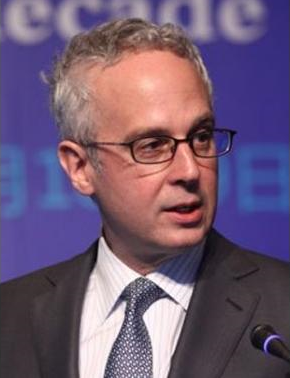 Prior to arriving at SIPA in 2001, he was the global head of the derivatives and securities subsidiaries of the Dai-Ichi Kangyo Bank, Ltd.
Robb holds a BA from Duke University (1981) and a PhD in economics from the University of Chicago (1985). His publications include “Testing the Mixture of Exponential Hypothesis and Estimating the Mixing Distribution by the Method of Moments,” with James. Heckman and J. R. Walker in Journal of the American Statistical Association (1990) and “Alternative Methods for Evaluating the Impact of Interventions: An Overview” with James Heckman in Journal of Econometrics (1985).